ตุลาคม 15, 2015 /0 Comments/in iNEWs, ข่าวพลังงานทดแทน /by iEnergyGuru. 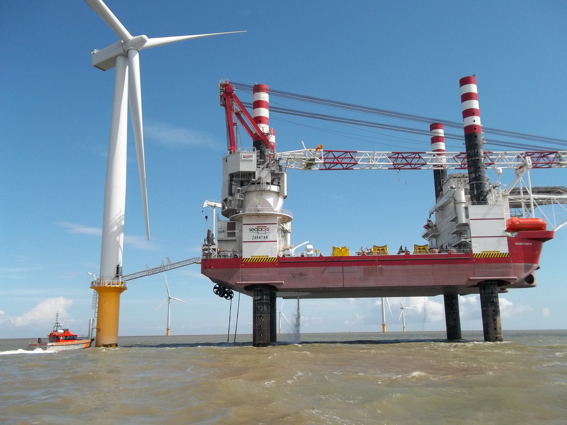 Placing and Maintaining Large Offshore Wind Turbines Offshore. Source: Seajacks UK. (Sep 29, 2010). Offshore Wind Turbine Installation - Part 1 . [Video file]. Source: Seajacks UK. (Sep 30, 2010). Offshore Wind Turbine Installation - Part 2 . [Video file].